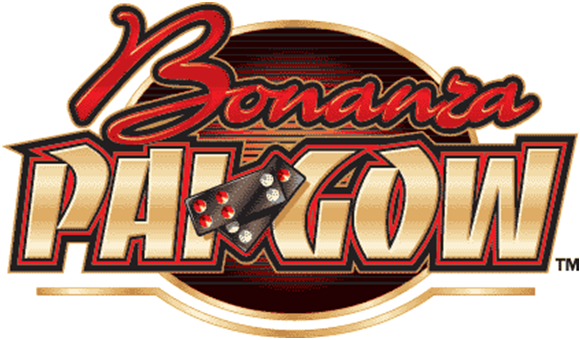 Home » Guides » What is Bonanza Pai Gow and how it is played? What is Bonanza Pai Gow and how it is played? Bonanza Pai Gow is a multi-bet variation of standard Chinese Pai Gow. It is played on a standard size blackjack table that can accommodate up to six players. 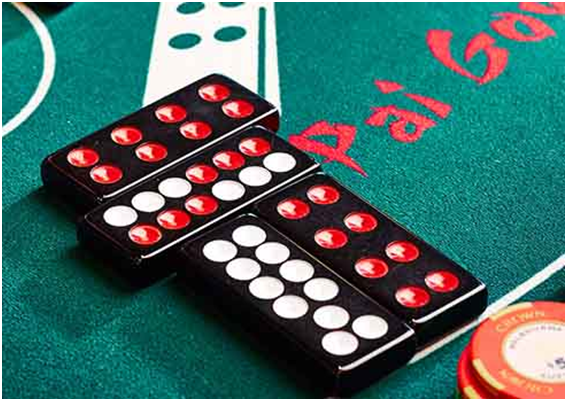 The game uses a set of Chinese dominoes, three dice and chips for betting, as in regular Pai Gow. The table layout has extra circles for three kinds of bets. The play is the same as regular Pai Gow. The players must form two hands, called the high hand and the low hand, by using their four tiles. 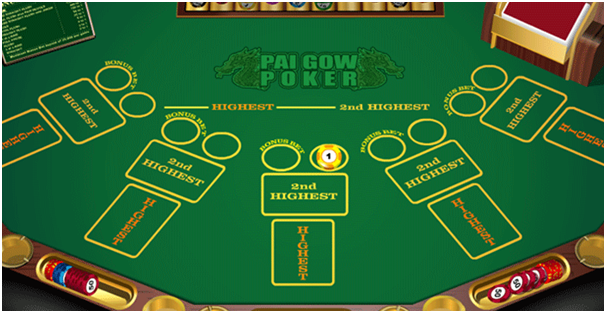 The high hand must be higher than or at least equal to the low hand according to the standard Pai Gow ranking. After all players have made their decisions, the Banker turns over his four tiles and forms a high hand and a low hand appropriately. The bets play an important role in Bonanza Pai Gow. Each player has three options in front of his position at the table. There is the traditional bet to win, the Bonus bet and the Tie bet. There are three betting circles in front of each player. The circle with a seat number inside is where the regular Pai Gow bet is placed. The circle labeled “B” is where the Bonus bet is placed. The circle labeled “T” is where the Tie bet is placed. The regular bet is not mandatory, therefore, Tie and Bonus are more than a side bet. Before the dealing of the tiles, each player has the option of making any one or any combination of the three bets. The bet amount need not be equal. The game is then dealt according to standard house Pai Gow rules. Three dice are rolled in a dice cup to determine which player gets the first stack of tiles. Counting starts from the Banker, who usually is the house dealer but may also be one of the players, and goes around the table counterclockwise. Starting from the position determined by the dice total, the dealer deals himself and each player four tiles counterclockwise. The regular bet is simply the standard Pai Gow bet. Each player competes against the Banker. The player wins if his high hand is higher than that of the Banker and his low hand is also higher than that of the Banker. The player loses if neither of his hands beats the Banker’s. If the player wins one hand and loses the other, his bet pushes. If the Player and Banker hands both have the same total, the highest-ranking tile in the hand breaks the tie. The Banker wins all ties if the highest-ranking tiles also tie. When both low hands equal 0, the Banker wins the low hand. A player can bet that his hand and the dealer hand will tie. In the event of a tie, whereas a player with a wager on the regular bet pushes, a Tie bettor will win even money, or be paid at 25:1 or 20:1 if his low hand is at least a Gong. If the player also plays the regular bet, then both bets are adjudicated by the same hand set by the player. In other words, the player is only allowed to set his hand once, but not separately. No commission is charged on a winning Tie bet. No commission is charged on a winning Bonus bet. The player is eligible to win the bonus if any two of his four tiles can form a pair or Wong. Should his hand comprise both a pair and Wong, only the pair will be paid the bonus. Furthermore, if the player also plays the regular bet, the bonus will be paid no matter how the player sets his high and low hands. The Bonus bet has a unique feature in that not only will the player win big awards for favorable results in rare instances, but also receive an award for the worst hand. A “Lame Duck,” the worst Pai Gow hand that comprises a high 6, a low 6, any 7 and any 4, pays 20 to 1. Making the Bonus bet not only turns a disappointment into a pleasant surprise for the player but also insures against a sure loss for the regular bet. Bonanza Pai Gow was introduced at Crown Casino, Melbourne, Australia in January 2001 now all six of their standard Pai Gow games had been converted to Bonanza Pai Gow. Bonanza Pai Gow increased their hold percentage vastly, achieving an increase of between $50 and $70 per table per open hour in comparison to standard Pai Gow games. Click here to know as why Bonanza Pai Gow has advantage over Standard Pai Gow Poker game. ← How to play Pai Gow Poker at Crown Casinos of Melbourne and Perth?